Oscar-winner Colin Firth (The King's Speech) and BAFTA-winner Jennifer Ehle (Zero Dark Thirty) star in this definitive version of Pride & Prejudice now fully restored from the original film negatives. The alluring tale of the forbidden love shared by the spirited Elizabeth Bennett and the distinguished Mr. Darcy is beautifully brought to life by award-winning screenwriter Andrew Davies (Bridget Jones's Diary, House of Cards). 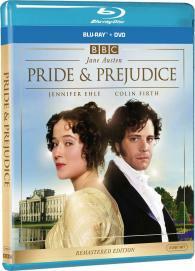 Indulge in the beautifully remastered French edition of Jane Austen's classic love story.